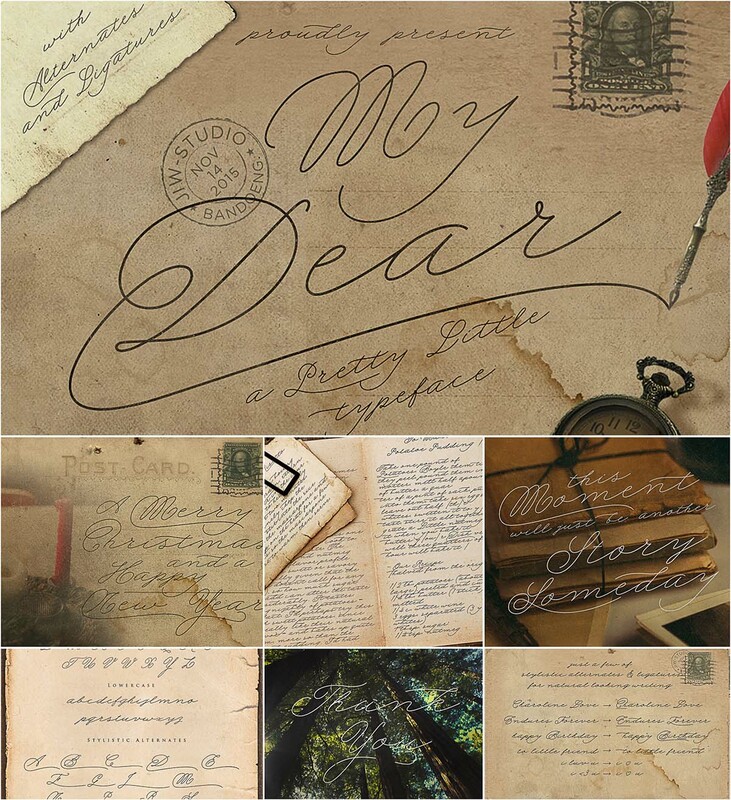 Introducing “My Dear” – calligraphy handwriting script with classic style and elegant touch, inspired by lettering on the old vintage postcard and manuscript . Can be used for various purposes, such as headings, signature, logos, wedding invitation, t-shirt, signage, lable, news, posters, badges etc. Tags: classic typeface, envelope, letter, lettering, postcard, scrapbook, script, victorian typographic, vintage.